Name: Futalognkosaurus (Giant chief lizard). Named By: Calvo, González-Riga, Kellner & Porfiri- 2007. 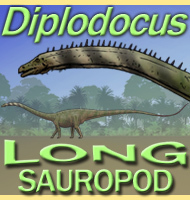 Classification: Chordata, Reptilia, Dinosauria, Saurischia, Sauropodomorpha, Titanosauria, Lognkosauria. 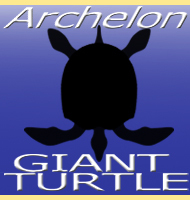 Size: Estimated about 26 meters long. Known locations: Argentina, Neuquén Province. 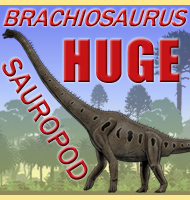 South America is known as the cradle of giant dinosaurs, including other massive sauropods such as Argentinosaurus. 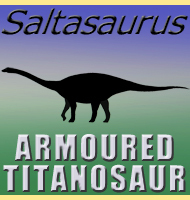 Futalognkosaurus however has more skeletal material including the vertebrae (cervical and dorsal), sacrum, ilia, right pubis and ischium and ribs. 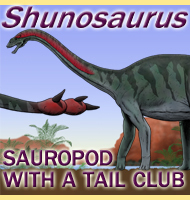 Unfortunately the skull, tail and legs are unknown. Despite the lack of this material, Futalognkosaurus still has the most preserved parts of any of the South American groups. 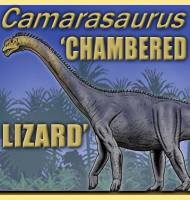 This has also allowed for comparison to other sauropods, with others like Malawisaurus being found to be similar. Futalognkosaurus acquired its name from the Mapuche words 'futa' (giant) and 'lognko' (chief) combined with the Greek 'saurus' (lizard). 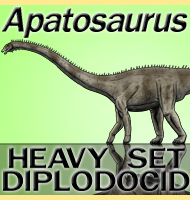 - A new Cretaceous terrestrial ecosystem from Gondwana with the description of a new sauropod dinosaur. - Anais da Academia Brasileira de Ciências 79(3):529-541. - J. O. Calvo, J. D. Porfiri, B. J. González Riga & A. W. A. Kellner - 2007. - Anatomy of Futalognkosaurus dukei Calvo, Porfiri, González Riga, & Kellner, 2007 (Dinosauria, Titanosauridae) from the Neuquen Group, Late Cretaceous, Patagonia, Argentina. - Arquivos do Museu Nacional 65 (4): 511–526. - J. O. Calvo, J. D. Porfiri, B. J. González-Riga & A. W. A. Kellner - 2007. 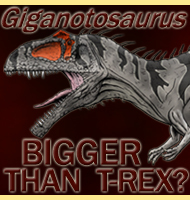 - Re-sizing giants: estimation of body length of Futalognkosaurus dukei and implications for giant titanosaurian sauropods. - Congreso Latinoamericano de Paleontología de Vertebrados. Neuquén, Argentina. - J. O. Calvo, R. D. Juárez-Valieri & J. D. Porfiri - 2008.